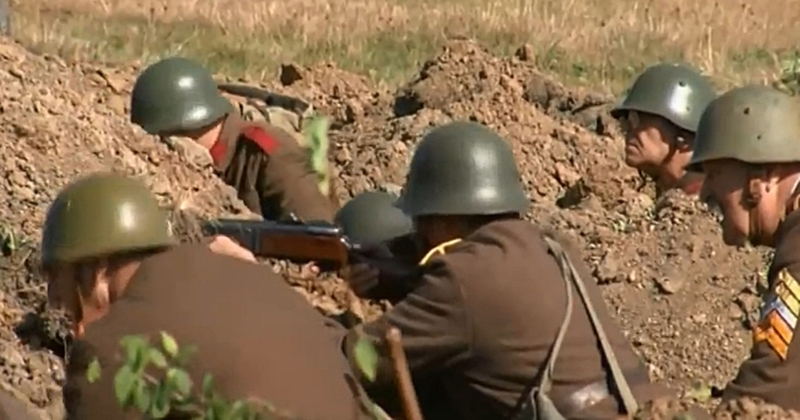 A group of Bulgarians have re-enacted a little-known clash in which, in September 1944, the Ninth Infantry Regiment of Plovdiv prevented the Wehrmacht from entering the town of Kyustendil. Operation Deve Bair took place as the short-lived government headed by Konstantin Muraviev – in power for just seven days – came to a close, and as the Soviet Union embarked on its September 1944 invasion of Bulgaria. Bulgaria was a member of Hitler’s Axis from 1941 until late August 1944, when it declared it was neutral in the war between Germany and the Soviet Union and called on German troops to leave the country. On September 5, the Soviet Union declared war on Bulgaria. On October 6 2018, more than 100 volunteers staged in the village of Gyueshevo a re-enactment of the Plovdiv infantry regiment’s barring of the advance of the Germany army on Kyustendil. The re-enactment involved vintage combat vehicles, artillery dating to the Second World War, and a 1935 steam engine on loan from state railways BDZ. 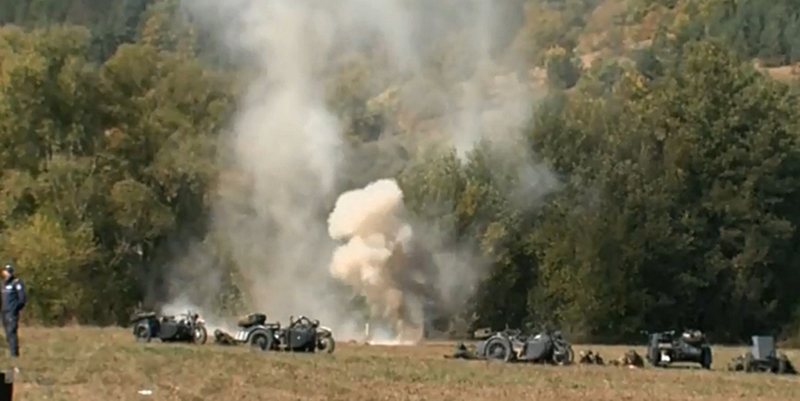 The event was organised by the Kyustendil municipality, together with the Ministry of Defence, National Guard and the “Brothers in Arms” („Братя по оръжие“) military history re-enactment club, Nova Televizia reported. Operation Deve Bair took place from September 8 to 14 1944. Deyan Ivanov of the “Brothers in Arms” club said that the defensive operation was a little-known one, of the Bulgarian army against the forces of the Third Reich. “We have tried to be as authentic as possible,” Ivanov said of the re-enactment, which saw volunteers dressed in uniforms of the period firing artillery and grappling with each other.